To top it off, I could do nothing. The oldest in one part of the continent; the youngest in another. The problem I was having was that I had to trust that they would be okay with people who are not their parents. I'm helpless here! I am a minimum of three hours away from each child! Trust can be a real...challenge. This is where God wants me. Trusting Him. The best I can tell you is that you discuss it with your spouse, or as you mentioned, pray about it, but for your personal comfort and easement. You have to seize the moment to spend quality time with yourself and your spouse when it comes, which you know is few and far between. Remember, they (kids) may be quietly going through the same thing, though they may never admit it. It's good for both of you. Tests the resolve, if nothing else. As a military spouse, I am put in the "trust" position more than I care for. My husband is currently overseas and I am trusting that he will return home safely- that trust I am more versed in and God and I have that discussion frequently. Believe me! My new position of trust involves the kids. We have recently moved to new place. That in and of itself is not new either. This time though, we have moved to a town where we do not know anyone and it is a small town. A homogenous town. More than likely my kids will be in classes this year where they will not look at another child and see a reflection of themselves. I am concerned more than just a bit about this. My kids know what it is like to be in the minority, but they do not know ONLY one status. Heck, I don't know ONLY one status. I do not know how the local kids will react to or how they will treat my children. I do not know how the local kids have been raised, what their families' beliefs, ideals, or perceptions are. Will my kids make friends? Will they be accepted socially? How will this affect them academically? Aaaaarrrrggghhh!! The answers to all these questions are: I don't know. 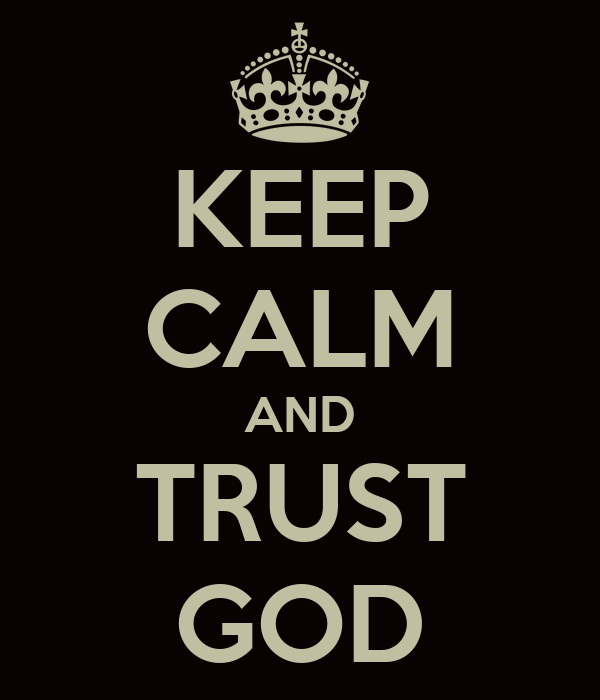 I feel helpless as I get ready for them to start school, but as you said, after prayers are said, all I can do is.....Keep calm and trust God.